We install and/or repair Vapor Barriers, Support Jacks, & Other Products For A Dry, Healthier Crawl Space. We have been working in this industry since 1986. We guarantee that you and your family will be satisfied with our encapsulation services. We have been taking care of moisture issues, mold problems, sagging floor joists and more. 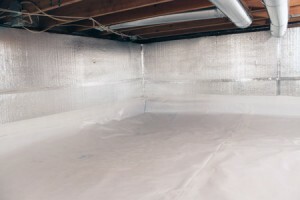 We can install vapor barriers, sump pumps, dehumidifiers, and other products to make sure that this area underneath your home stays safe and healthy. We know that there are a lot of related products sold in home improvement stores, but they aren't nearly as effective as what we can provide for you.